One of my favorite memes is "Disney didn't give me unrealistic expectations of men; Tolkien did" (or the equivalent of). When it comes to The Lord of the Rings and the realm of Middle-earth, there are a lot of great literary gentlemen to highlight. This makes it especially hard to pick just one character to spotlight. From men to elves and even to hobbits or dwarves, Middle-earth is ripe with all types of heroic gentlemen. My personal, all-time (I almost can't bear to admit it!) favorite character is Samwise Gamgee. From the first moment I watched and read The Lord of the Rings, I fell in love with sweet, loyal Sam. I always regarded him as more heroic than anybody else, and I thought he deserved more recognition than he ever received. Later I learned Tolkien felt much the same, calling him the "chiefest hero" of the story. At first, Sam may not seem heroic or important since he's a simple hobbit who loves gardening, but his endearing qualities help shape the events of the story in extraordinary ways. Anyone who knows the story of Samwise Gamgee wouldn't be surprised to learn that one of Sam's greatest qualities is his loyalty. Throughout the books, Samwise has one goal: to stick by Frodo's side, no matter what. At every turn, he is looking out for his master and carefully makes sure he knows where Frodo is at all times (The Fellowship of the Ring, 252; The Two Towers 328). At the beginning of the book, he aims to help Frodo by carrying more than his fair share of supplies (FOTR, 78, 201). In addition, he refuses to leave Frodo's side, even falling asleep at his feet: "Sam refused to leave his master. When Pippin had gone he came and sat curled up at Frodo's feet, where at last he nodded and closed his eyes" (FOTR 92). When they meet Strider, he's suspicious, if only to make sure Strider won't hurt Frodo (FOTR 194, 222). The same happens when they encounter Gollum; he doesn't want Gollum to turn around and strangle them in their sleep (TT 264, 274). When they are in Rivendell he "had begged to be allowed to wait on his master, but had been told that for this time he was a guest of honor" (FOTR, 255). Of course, he is most known for declaring to follow Frodo all the way to Mordor if that is what they are meant to do. He interrupts the Council of Elrond to demand Frodo is not sent off by himself, and he chases after Frodo, determined that Frodo won't get lost by himself (FOTR 304, 455). He defends Frodo multiple times, whether it be from swampy tentacle-monsters, strange Men of Gondor, or greedy orcs (FOTR 346-47; TT 306; The Return of the King 200). He makes sure Frodo gets proper food and sleep, even giving Frodo the last drink of water and his own portion of lembas bread (TT 292, 361, 365; ROTK 219). After they are attacked in Shelob's Lair and Samwise believes Frodo to be dead, Samwise stays loyal to his master by deciding to take up Frodo's quest and destroy the Ring (TT 385-86). When he learns Frodo is not dead, he makes it his priority to save Frodo first: "He sprang up. He flung the Quest and all his decisions away, and fear and doubt with them. He knew now where his place has and had been: at his master's side" (TT 389). After the Ring is destroyed, Samwise continues to show his loyalties to Frodo and all of the hobbits, including his gaffer. When they return to the Shire and learn it's been taken over by suspicious and greedy people, he is determined to find his gaffer first and foremost to make sure he is well (ROTK 307). Then he helps his friends restore the Shire. Once the Shire is restored, Samwise continues to stay with Frodo, sharing Bag End even after he marries Rosie Cotton (ROTK 332). When Frodo decides to sail into the West, Samwise can hardly be parted from him. He wishes to go with him, but he must remain in the Shire to care for his family (ROTK 338). In the end though, after Rosie dies, Sam sails West to be reunited with his master once and for all (ROTK 419). Samwise is loyal, through and through, when it comes to his friendships and family. He sticks by them, no matter what--marshes, Mordor, or Mount Doom. Sam's loyalty to others filters straight into his other qualities, namely his bravery. Hobbits are known for being exceedingly surprising, especially when it comes to resilience and strength in the face of despair (think Bilbo facing Smaug or Frodo carrying the Ring to Mount Doom), yet Samwise is more surprising than most. At the beginning of the story, he ends up bursting into tears over pretty much anything: Elves, excitement, eavesdropping. Yet by the end, he is a steadfast, stouthearted hobbit that shows incredible bravery. Due to his loyalty, he finds it is his personal duty to defend Frodo, as mentioned earlier. He will do whatever it takes to save his master from trouble. He'd go up against Black Riders, Bill Ferny, Gollum, orcs, and a nasty spider just to see Frodo safely into Mordor. That kind of action requires bravery that far exceeds the normal capacity. Later, Sam shows the same kind of fearless bravery when he helps save the Shire (ROTK 311). Samwise's bravery helped save Frodo on numerous occasions and gave him the resilience and strength to keep moving forward, despite all their obstacles and losses. It is with good reason Frodo calls him "Samwise the stouthearted" (TT 363). 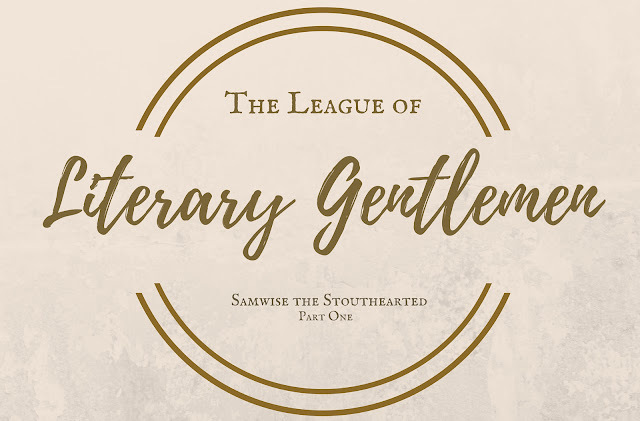 Samwise has many more qualities that set him apart as an extraordinary literary gentlemen. I'll continue discussing more of these qualities and how they all tie together in part two!